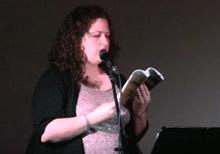 Erin Robinsong reading from Rag Cosmology at the Spring 2017 Launch. 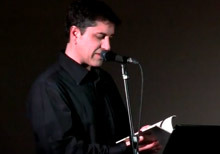 Stephen Cain reading from False Friends at the Spring 2017 Launch. 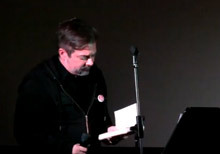 Bertrand Laverdure and Oana Avasilichioaei reading from Readopolis at the Spring 2017 Launch. 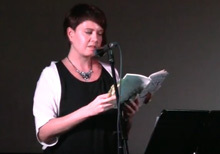 Christine McNair reading from Charm at the Spring 2017 Launch. 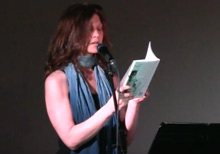 Marianne Apostolides reading from Deep Salt Water at the Spring 2017 Launch. 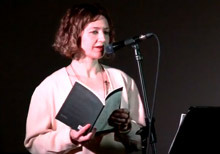 Jennifer LoveGrove reading from Beautiful Children with Pet Foxes at the Spring 2017 Launch.